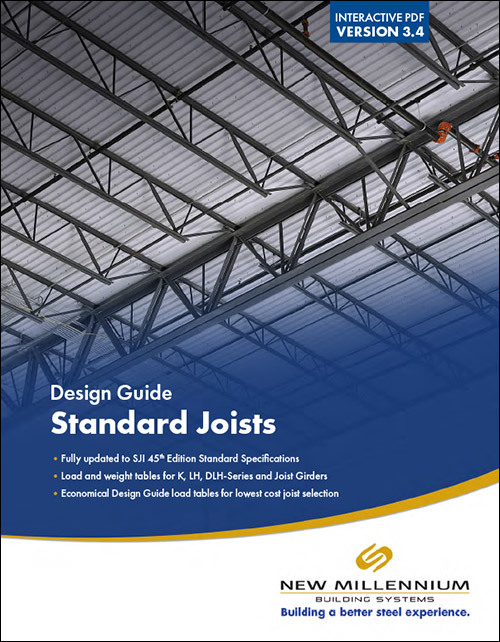 Download our latest design and specification guides in PDF format, updated with the latest standards and load tables. This content is best viewed in Adobe Acrobat Reader. Nationwide manufacturer of steel joists, bar joists, special profile joists, and steel roof and floor decking. © New Millennium Building Systems, LLC All rights reserved.